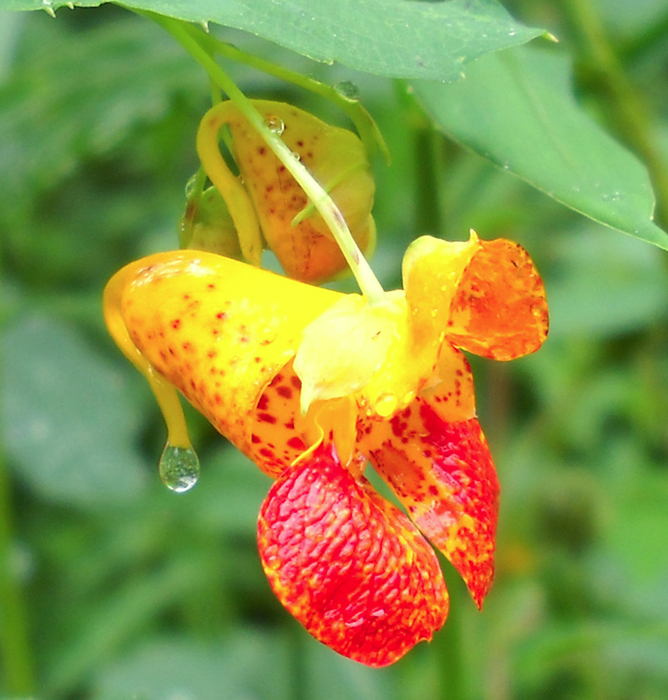 What does the Jewelweed look like? got it's name from the fruit that busts open when you touch it. Where does it live , and how tall does it get? 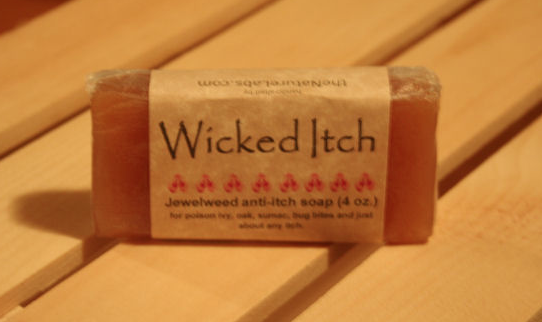 It lives in the Northeast, Southeast, Midwest, and Northwest. The habitat it lives in is swampy woods, clearings, and stream beds.The Jewelweed grows from 1-8 feet tall. This wildflower blooms in the months June -September. The flower head is three fourths-1inch. 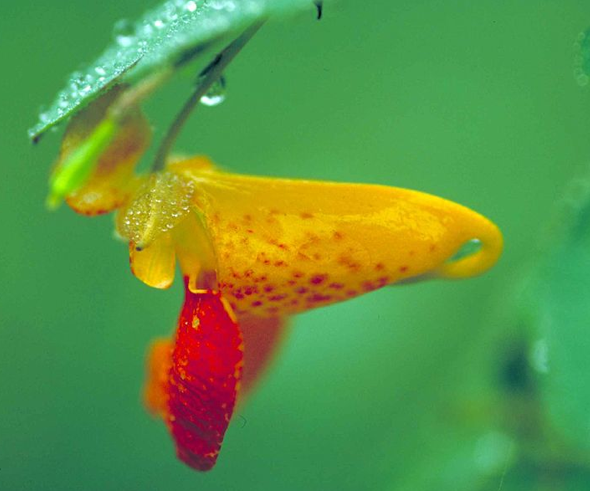 The flower type is "inflated sac". There are many among branches.